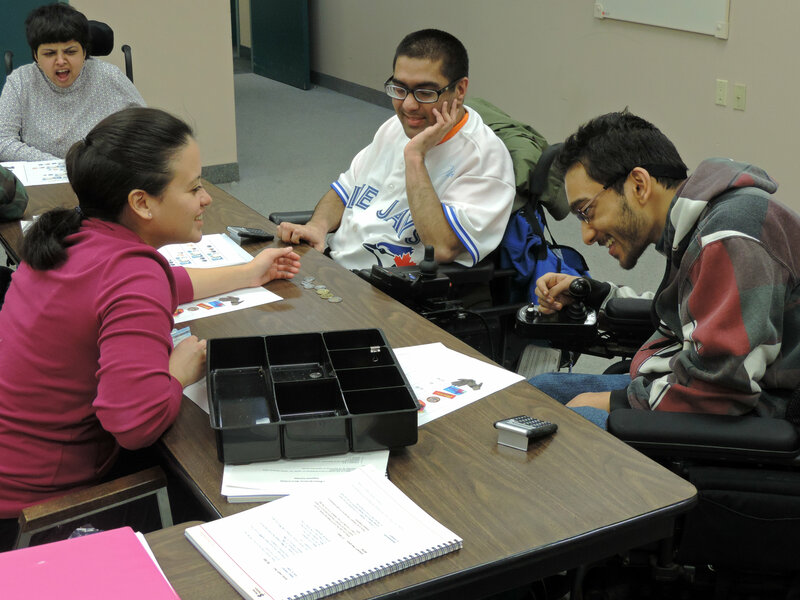 A large component of the LIFE Toronto program are workshops. They cover a variety of topics including healthy eating, stress management, healthy relationships, and goal setting, just to name a few. Another very important topic we cover is financial literacy and we were excited to have an opportunity to participate in Money Matters Workshop, which was made possible by ABC Life Literacy Canada and LIFE Toronto program sponsor TD Bank Group. 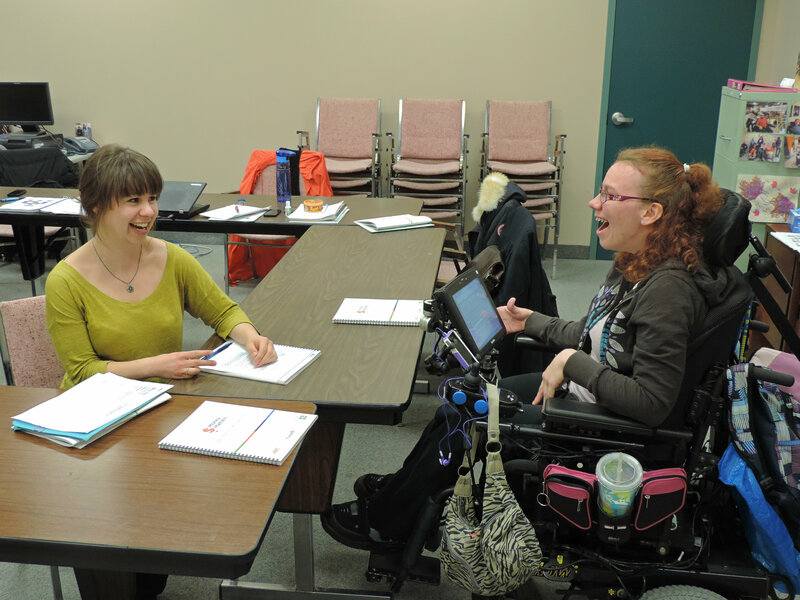 The workshop was facilitated by amazing TD Bank volunteers; Shawn, Luz and Carissa. Our two Money Matters sessions were packed with important and practical information. We had an opportunity to learn numeracy and financial skills; the difference between a chequing account and a saving account, how to make a budget and how to write a cheque. We also received information on education savings opportunities available from the Government of Canada. Ryan was thrilled to learn how to calculate how much money he spends every month. 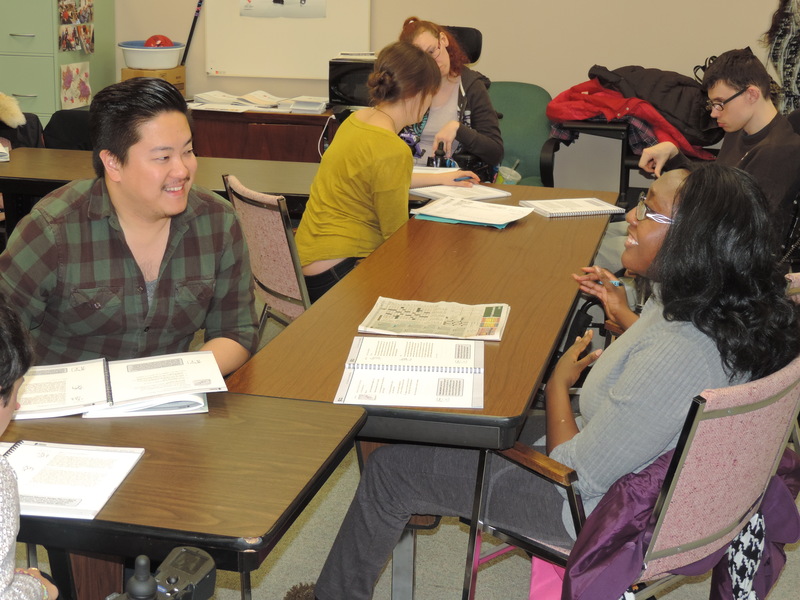 Evan learned how to set a goal to get better at managing his budget and during the workshop he also learned ways in which he could save money and not spend unnecessarily. Usman’s favourite part was using a calculator to do the math. A favourite activity for all of us was the store activity. Everyone took turns being the cashier at our imaginary store and had to tell other participants the total price of their goods and count out the change to be given after the purchase was made. 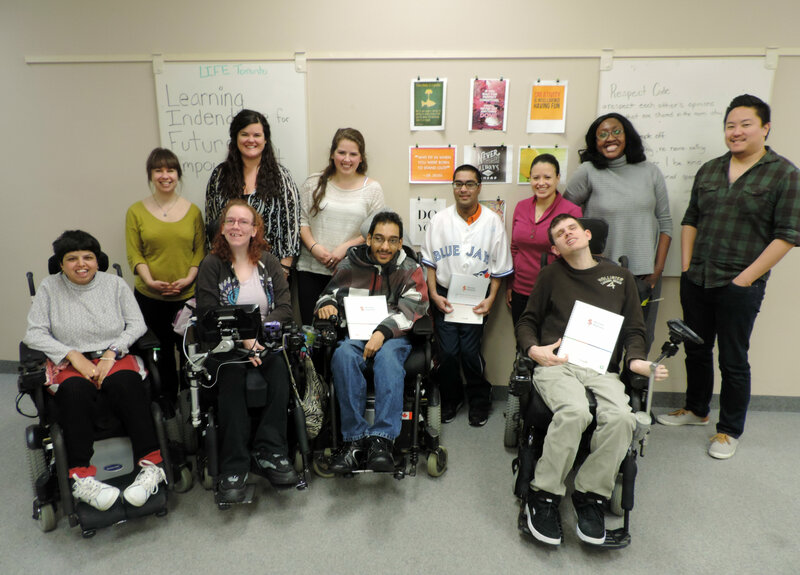 Here at LIFE Toronto we know that improving our knowledge about financial responsibility and practicing the skills we learn leads to greater independence and we want to thank Carissa, Luz, and Shawn for their help! They were kind, respectful and most importantly friendly. Thank you for making financial learning fun.